What threats are just over the horizon? Where are your opportunities? How big are they? How well positioned are you to exploit them? If you’re not thinking three moves ahead, you’re behind. A solid game plan helps you focus your time and resources, stay on target and play smarter. 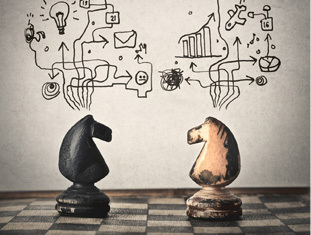 Whether you’re launching a new product, restaging a division, expanding into new markets, forging strategic alliances or bringing a special project to completion, winning or losing depends on the strategy behind your every move. The Green Edge provides strategic, business and marketing planning based upon a thorough evaluation of your company, your industry, and the design of optimum market access and distribution models. We help you design achievable plans that encompass objectives, strategies, budgets, timetables, accountabilities and feedback systems.